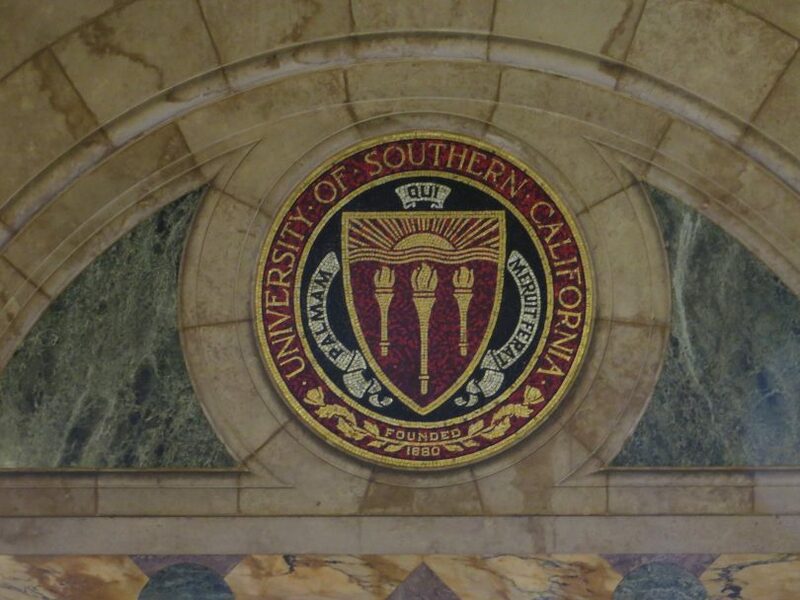 Image: “University of Southern California (USC), Los Angeles, California” by Ken Lund is licensed under CC BY-SA 2.0. Unless you have been completely devoid of breaking news over the last two weeks, you most likely have noticed that college education has become a ridiculously hot topic. We all remember the admissions process. We would be lying if we said it was easy. The hours we spent pouring ourselves into short answer questions, personal essays and rigorous applications — not to mention the years we had spent prior, maintaining certain GPA’s, studying endlessly for a particular SAT score and striving for perfect grades, all in hopes that we might make it into our dream school. We put our blood, sweat and tears into getting where we are today. Most of us have given 150% to ensure that we would be able to go to a college that was best suited for our hopes and dreams. Female students, in particular, have had to put in far more effort over the past few decades to even be taken seriously in a collegiate setting and in education as a whole. Girls haven’t always had the right to be considered for any college they set their sights on. Education for women has come a long way over the last century to get to where we are now; where people of all genders and identities are free to attend any college or university, provided that they meet the criteria required of them. Now, as students, we understand that there are a set number of hoops that we are expected to jump through in order to prove to schools that we are worthy of a spot amongst their student body. There is nothing wrong with having to work hard to get to where you want to go. There is a problem, however, when it becomes clear that the workload required for students is unequal due to their privilege, affording them certain positions over others despite their nonexistent skill set. It was recently discovered that Loughlin, a mother of two, had been using her status and wealth to guarantee both of her daughters enrollment to The University of Southern California, a prestigious university with an 18% acceptance rate. It was reported that Loughlin, among others, had been working with an admissions advisor who taught them how to finesse the children into these schools, without needing the grades or the scores that the universities typically require. It has been rumored that the children did not even fill out their own applications. As a current college student who has witnessed firsthand how difficult it is to get accepted to a college, it is hard to put into words how angering this scandal is. The entire situation is nothing more than the exercising of financial privilege over those who simply don’t have famous parents with net worths well into the millions. It is the exercising of privilege over anyone normal. What makes this even more frustrating is that the children involved didn’t even seem to value the education that they were fortunate enough to be handed. Loughlin’s youngest daughter, Olivia Giannulli, better known as Olivia Jade on her successful YouTube channel, had made it very clear before the scandal even surfaced that college was not something she was overly concerned with. This makes a lot of sense as we now know that she hardly worked to get into the university, so why should she work hard once she is there, knowing at the end of the day she would still leave with a degree thanks to her mother’s financial status? Every student past and present, particularly women, have a right to feel cheated as a result of this scandal. It took years upon years for girls to even be given the opportunity to hold a position at a school like USC and now we are being shown a family who has exhibited just how little they value the opportunities they are so fortunate to have. More than that, it is upsetting to know that anyone of any gender is getting something they do not deserve and that they put no effort in to obtaining. My friends and I worked for months on our applications and years on our primary educations to be able to accelerate into the next phase of our lives. We did it all on our own and got where we are today based on our hard work and determination. Students these days are willingly plunging themselves into decades of debt in order to walk away with knowledge and experiences that they wouldn’t find anywhere else. The fact that some people are so comfortable exerting their privilege is deeply upsetting. What adds to the frustration is the fact that this situation bares no real solution, other than for people of all statuses and socioeconomic backgrounds to actually work for what they have and for everyone to be secure in where they are and the effort that they put into things. If there is anything that can possibly be taken away from this, it is that the energy you put forth into the universe is what you receive. If you want good things to happen, you have to make them happen. No amount of money or bribery can be a substitute for genuine, authentic character.